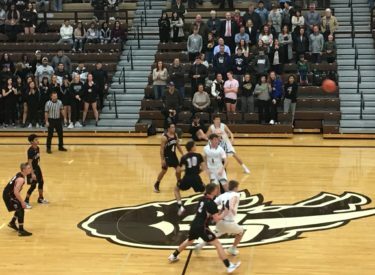 The Garden City Buffaloes defeated the Liberal Redskins 54-45 Tuesday night in Western Athletic Conference play in the Garden in Garden City. The Buffs jumped out to a 9-1 lead before LHS rallied to make it 16-14. The Redskins took a 25-23 lead toward the end of the second quarter. But the Buffaloes went into the halftime locker room with a 27-25 lead. GCHS led 39-34 after three. Liberal trailed just 41-39 with 3:40 to play before Garden used a 12-1 run to lead 53-40. Garden City is 7-1 and 2-0 in the WAC while Liberal is 5-3 and 0-2 in the WAC. Liberal has lost three straight to the Buffaloes and 10 of the past 12 at Garden City. Liberal plays at Dodge City Friday night at about 7:45 on 1270 and kscbnews.net.